We know indeed what an album art is. It refers to both the printed cover or the front-facing panel of an audio recording product. Most of us like to listen to music for entertainment and there are tons of music sites which provide music categorized by artist, album, genre, and playlist over the Internet. We can search or browse our favorite songs and know more about the album due to the album art. It makes it quite convenient to go through large amount of music collection and identify them. It will be an awkward task to organize music collections without the correct information in terms of album. The truth is that many music files come with no album information or even wrong information, however, we could still correct them. with the help of album art editors. ApowerEdit is a video editor program which provides comprehensive functions more than just editing the video. It lets you edit images as well. If unfortunately the cover is unmatched with the album, we can create a new cover with this program. The “Text” feature is able to lets us write what we want on the cover image and the “Filter” feature make the image beautiful. You can even add multiple album covers to a song. Check the simple how-to guide below to know how to edit album art on it. Download and install ApowerEdit on your computer. Or navigate to the next step if you have already installed this. Import your music file as well as the album cover you want to use to the Media Library. Drag them to their respective timeline. Choose the picture in the timeline, click “Edit” and enlarge the picture to fully cover the black screen on the player window. When you well set the motion, mask for the art, click “Set duration” to decide how long the image shows up during music playback. Click “Export” to save your music file as MP3 or AAC file. 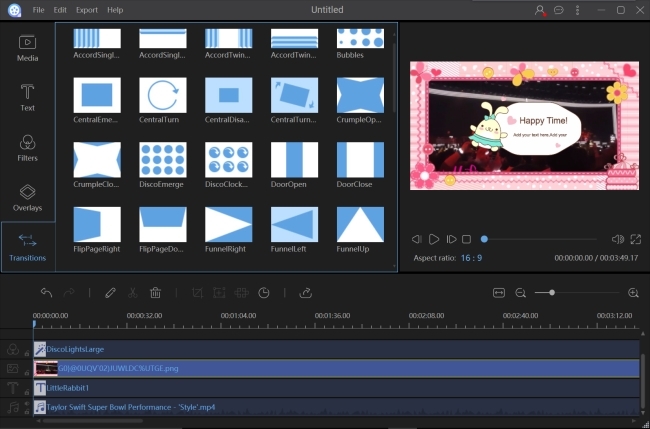 When it works as a video editor, it can do as many things as we want on a video. It is able to basically edit video like trim, split, rotate, merge videos and advanced polish video, for example, apply special effects, overlay and filters to the video etc. 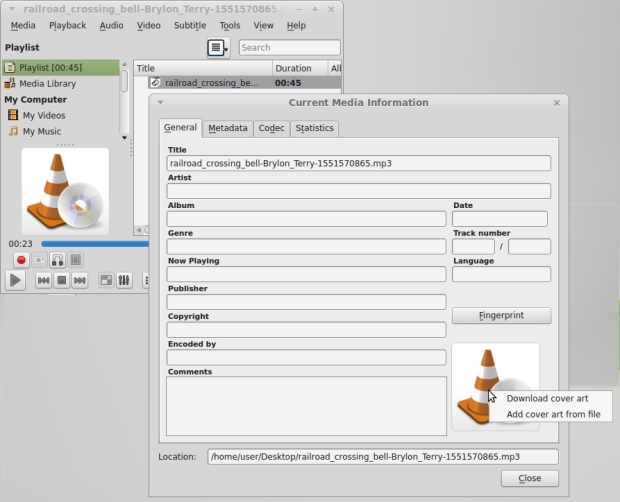 VLC media player is a very powerful tool that lets us play videos and music on our computers. It also has many hidden features. One of them is it will search the metadata of the songs we are listening to. If we drag a song into VLC, you will see the album art comes up when playing a song with VLC. But there are some occasions that VLC cannot find the album cover or show an incorrect album cover. Under such a circumstance, we can try clearing the VLC’s cached data before we edit album art manually with some editor software. The problem will be fixed sometimes. We can go to “Media” > “Recent Media” and click “Clear” to remove the all cache of the files we played on VLC previously. But you should note that your recent play list is cleared too after you remove the cache. If clearing the cache doesn’t help, we can take the further step to edit album cover. You can open the song in VLC, right click the media which is playing in the VLC window, choose the “Download Cover Art” from the menu and the correct cover will be downloaded into the clip’s metadata. You might think that Windows Media Player is only useful for playing media files, but you’d be wrong. You can even use it to mange your music. 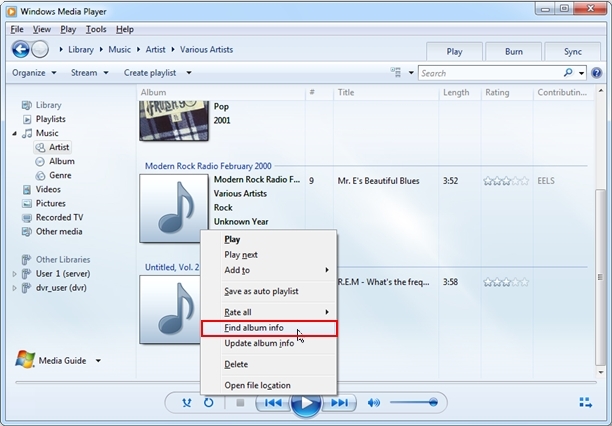 And we are here to guide you how to add or change an album art through it on Windows platform. Take Windows 7 as the example. Open Windows Media player then go to “Library” > “Album”. Find the song you want to add an album art, right click it and choose “Find album info” from the context menu. If there is a match to your album, the cover will be downloaded to your computer automatically. 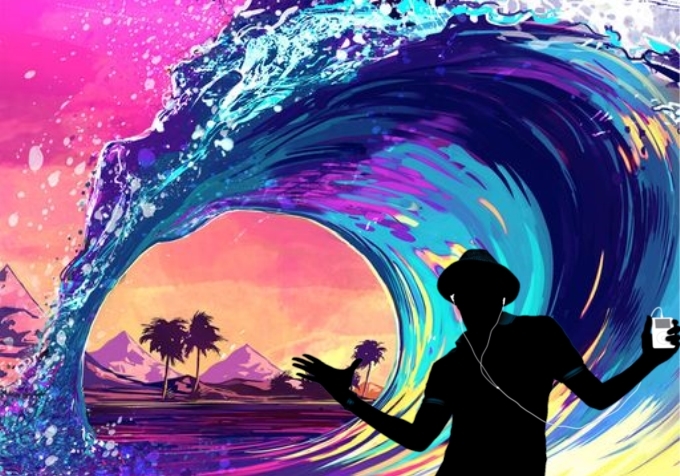 If the player cannot match an album art with your music, you have to download the official album cover to your computer and add it to the song.